The Lamigo Monkeys have filled their 2019 foreign players quota today by announcing the signing of Radhames Liz, the 35-year-old Dominican right-hander. 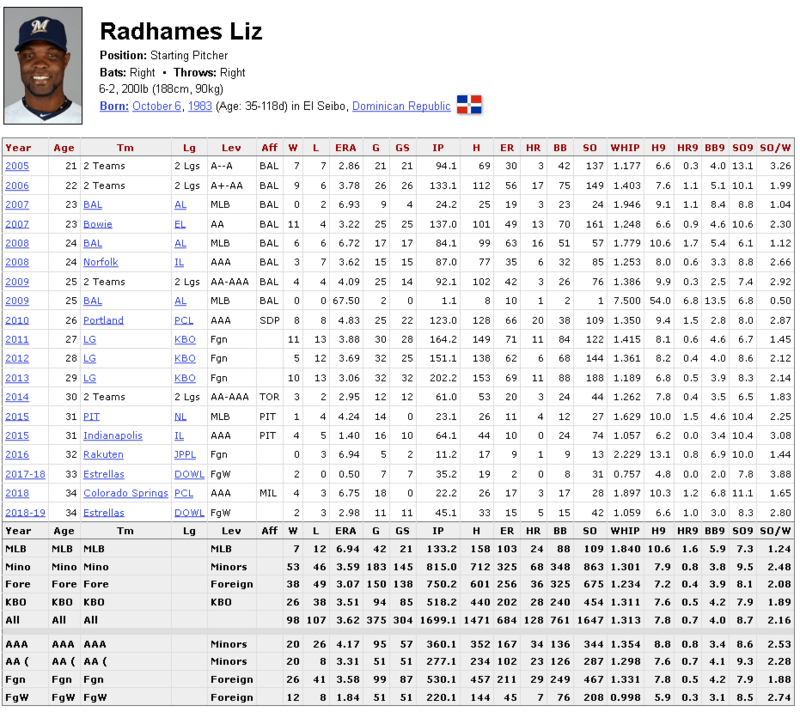 Prior to his signing with the Lamigo Monkeys, Radhames Liz had a successful season in the Dominican Winter League where he posted a 2.98 ERA, 1.05 WHIP across 11 starts and 45.1 innings. The Baltimore Orioles signed the hard-throwing right-hander in 2005. Liz then spent the next two seasons in the minor league before making his MLB debut in 2007. From 2011 to 2013, Radhames Liz pitched for the LG Twins in the KBO. In three seasons he has a combined record of 3.51 ERA, 1.31 WHIP over 518.2 innings. In 2013, Liz won the KBO strikeout title and tops at 162kph in one of his games. 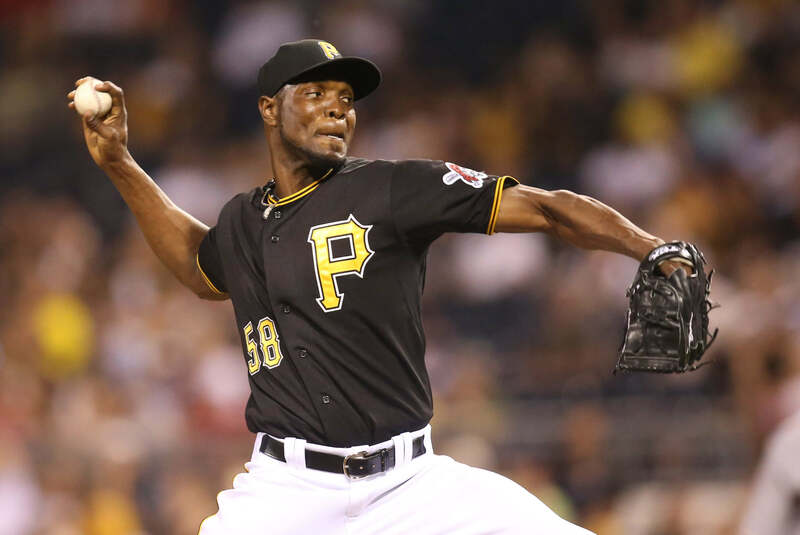 After his KBO tour, Liz returned to the MLB system and eventually made it back to the MLB with the Pittsburgh Pirates in 2015. He finished 2015 MLB season with a 4.24 ERA and 1.62 WHIP over 23.1 innings. In 2016, Radhames Liz signed with the Tohoku Rakuten Golden Eagles in the NPB. However, things did not pan out for him. Liz finished his 2016 NPB season with a disappointing 6.94 ERA, 2.22 WHIP over 11.2 innings and returned to the MLB system in 2018. According to the Monkeys’ representative, Radhames Liz is expected to arrive in Taiwan around the middle of February and begin his first season in the CPBL. Foreign players come and goes, therefore we compiled a foreign players tracker to keep track of all the foreign players signing for the 2019 CPBL season. Another pitcher who the Orioles rushed to the majors without trying to fix his command problems. Their lack of pitching development has been beneficial for Asian leagues. (Dennis Sarfate with the Softbank Hawks). We will see how Liz will pan out. Hopefully it will not turn into another Shane Youman situation. I noticed Liz’s strong Dominican Winter League performance, but I figured that at his age, he’d pitch in the Mexican League in 2019. He has plenty of Asian baseball experience and is certainly a fairly good bet to pitch well in the CPBL in 2019. Why didn’t Lamigo re-sign Bruce Kern? He was awfully good last year, and he’s is not yet 31 years old. I had thought he would be a lock to return to the CPBL in 2019. My personal opinion, the signing of Radhames Liz is very “Lamigo Monkeys” gambling style, Liz could potentially be another time bomb like Zeke Spruill. From some of the recent Winter League videos of Liz, his fastball sits around 92mph, slider at 83mph and changeup? at 80mph. I guess we will find out when he is here. On paper, my concern is whether he can go deep into the game. As for Bruce Kern, rumour the reason why the Monkeys did not re-sign him was Kern gets a bit too emotional and sometime can not control it. Coincidentally the Brothers manager Cory Snyder said something similar when the Brothers released him in 2017. It is a shame though, I really like pitcher similar to Bruce Kern, throws hard and never waste any time on the mound. Causing friction in the clubhouse is definitely a concern, but was Kern’s behavior bad enough to jettison a pitcher who pitched as well as he did last year? I guess they just want a team that’s easier to manage. Also, probably banking on they can easily find someone new to replace Kern in terms of performance. Would be interesting to see how good do you have to be to becomes irreplaceable in the CPBL.